Today’s Cool Album of the Day (# 974 in the Series) is Blood, Sweat and Tears, 3. In many ways, this album had more to do with long love affair with music, than any other album ever released. When I was a wee lad, my sister gave me copy of this. It was actually on cassette. It was right when those lovely pre-recorded cassettes first hit the market. I had a player and played it over and over and over. I even remember starting and stopping the songs over and over so I could write out the lyrics. I was hooked. I had to get more of these! 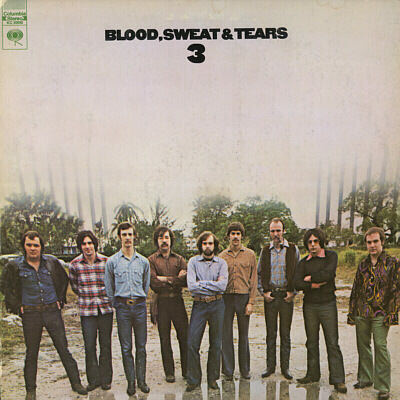 Blood, Sweat and Tears 3 contained some of the bands most well known tunes. From the opening of “Hi-De-Ho” to the ending of “40,000 Headman,” it was full of great music. Before I write these out, I often look for info on these albums. When I did this research, I was surprised to find out that Gerry Goffin and Carole King wrote “Hi-De-Ho.” I never knew that! Besides “Hi-De-Ho” and Winwood, Capaldi’s, “40,000 Headmen,” there were a few other great tracks. 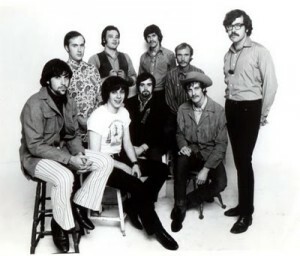 They also covered James Taylors “Fire and Rain.” I also love, love Laura Nyro’s “She’s A Runner” and also Joe Cocker’s “Somethin’ Comin On.” Yes, there are some of BS & T’s most well known songs on this album, but I highly encourage a full listening. It’s all good. You can hear every song on the below on the playlist. I’ve also added some live versions below that, but give the full album a listen. But the most interesting track, not to be missed is a very different reworking of Jagger and Richards Classic, “Sympathy For The Devil.” If you haven’t heard this one, you have to check it out! I had never seen BST in concert. Then in 1994 they played Chicago Ridge Fest. I wasn’t expecting much from a typical summer neighborhood fest, but was I surprised! David Clayton Thomas never sounded better! And he bought many of the old timers with him. I found out afterwards, that they had used this show as a warm up for a bigger show that was scheduled a few weeks later. The 25th anniversary of Woodstock.